A butter shortage will push up prices for Aussie favourites such as cakes and biscuits. The country's baking industry nears crisis point as the crippling butter shortage begins to push up the price of Aussie favourites such as meat pies, croissants, cakes, buns and biscuits. Consumers face a Christmas period of pricey baked goods as butter costs hit record highs and bakeries struggle to absorb the extra expenses. Industry insiders say that three factors are creating the "perfect storm". Falls in production are due to the health drive towards the consumption of full cream milk rather than skim - the fat that is skimmed off is used to manufacture butter. Shoppers have also been steadily switching to butter rather than margarine for health reasons, compounding the outstripping of supply. Also milk production has dropped seven per cent in the last year. 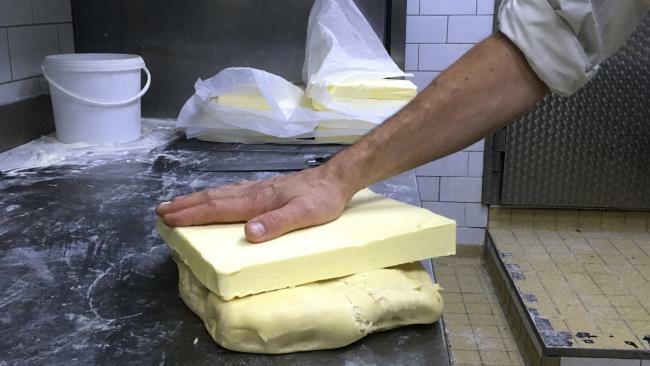 National Bakery Industry Association president Bret Noy told The Courier-Mail that bakeries are using French butter as the cost of Australian butter has risen by 140 per cent in the last 18 months. "Over a year ago a 25kg box of Australian butter was $100 now it hits $240," Mr Noy said. "We don't want to see a shift away from support of local dairy farmers but we are trying the best we can to keep prices down at the till." The industry chief says that if there is another price hike bakeries will have to consider the use of margarine in the baking process. "Of course we don't want this. There will be a big impact on taste and nutritional value," he said. In Australia, butter production has dropped by 18 per cent between 2016 and 2017 but due to scientific evidence supporting the health benefits of saturated fats, Australians are eating more - as much as four kilos on average per year. There has been a nine per cent growth in full cream milk sales over the past 12 months. Smaller businesses will be harder hit by the price hikes says Dairy Australia's industry analyst John Droppert. "Many small businesses operate on a month-to-month basis and buy from wholesalers. They are the ones that can't handle the squeeze," Mr Droppert said. He predicts that the butter shortage will continue until next year. 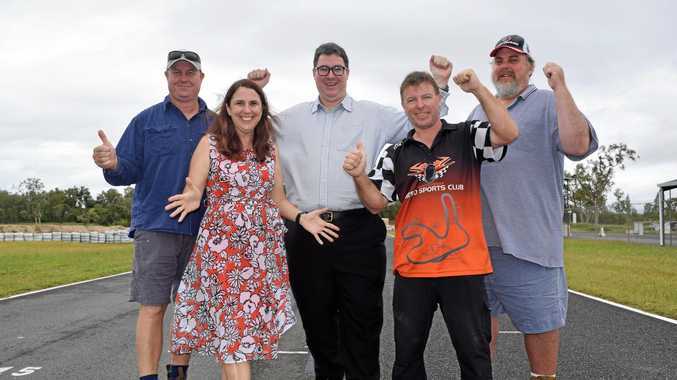 News A sporting club in the Whitsundays is looking brighter after almost $500,000 was announced for a Proserpine sporting facility today. News EMERGENCY services attended a house fire in Proserpine overnight. News Emergency Services responded to a car in floodwater. Breaking The siege ended at 4.15pm.